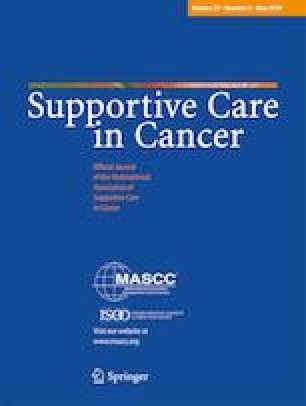 Research by our group has shown that acupressure bands are efficacious in reducing chemotherapy-induced nausea (CIN) for breast cancer patients who expect nausea, and that their effectiveness in controlling CIN can largely be accounted for by patients’ expectations of efficacy, i.e., a placebo effect. The present research examined if the effectiveness of acupressure bands could be enhanced by boosting patients’ expectation of the bands’ efficacy. Two hundred forty-two chemotherapy-naïve patients with breast cancer who expected nausea were randomized. Arms 1 and 2 received acupressure bands, plus a relaxation MP3 and written handout that were either expectancy-enhancing (arm 1) or expectancy-neutral (arm 2). Arm 3 was the control without bands or MP3 and received standard care. All participants received guideline-specified antiemetics. Peak CIN for arms 1, 2, and 3 on a 1–7 scale was 3.52, 3.55, and 3.87, respectively (p = 0.46). Because no differences were observed between arms 1 and 2 (primary analysis), we combined these two arms (intervention) and compared them to controls for the following analyses. A significant interaction was found between intervention/control and receiving doxorubicin-based chemotherapy (yes/no) and pre-treatment anxiety (high/low). Intervention patients receiving doxorubicin had lower peak CIN than controls (3.62 vs. 4.38; p = 0.02). Similarly, intervention patients with high pre-treatment anxiety had a lower peak CIN than controls (3.62 vs. 4.62; p = 0.01). In breast cancer patients undergoing chemotherapy and having high CIN expectation, acupressure bands combined with a relaxation recording were effective in reducing CIN for patients who received doxorubicin or had high anxiety. This study was supported by the National Cancer Institute (grants R01 AT007474-01A1 and UG1 CA189961).